Every year, when November comes around, I ask myself why I didn’t move to a place where there is actual snow. I mean, we get snow occasionally, we even had a few flakes mixed into the constant rain earlier today, but a solid few months of nice, white layers outside? 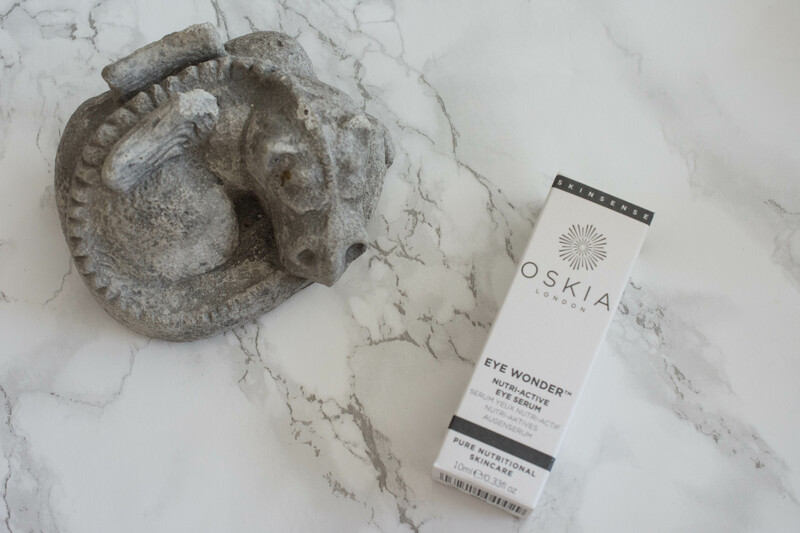 With envy I watch Melissas Instagram, showing us the first snow of the season in Switzerland and then reach for my snow white bottle of Oskia Eye Wonder Nutri-Active Eye Serum (PR-Sample). Which, by the way, contains Swiss Apple Stem cells. That can´t be coincidence! One bottle (with a pump, yay!) contains 10 ml and retails for 48 GBPs on the website here. I used the cream for almost three months now every evening and it is about to run out. The cream (should I call it serum?) feels lightweight, is white and does not have a noticeable scent. It absorbs quickly and works great under makeup. I used it mostly in the evenings, simply because out of all the creams I had on rotation it was the one with the best ingredient list. Texture wise it would be much better suited for the day, and I feel like it would not be enough for someone with really dry eyes. My skin though felt plump and nicely hydrated, but never oily. Malus Domestica Fruit Cell Culture: Antioxydant. I don’t buy into the stem cell claims as you know. None, unless you want something without any preservatives. It did not visibly brighten my dark circles, but I don’t think there is a cream that can. But it did hydrate my under eye, so my fine lines looked smoother, and it contains enough antioxidants to protect the DNA as claimed. 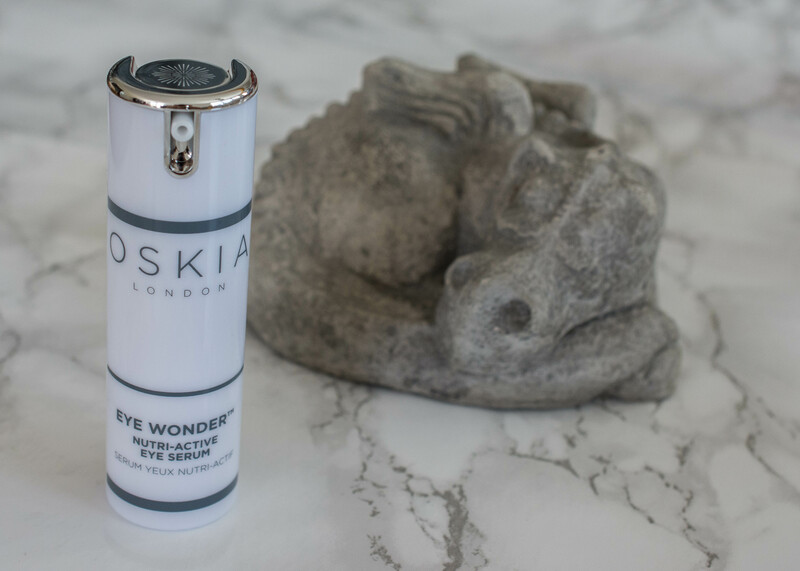 So far Oskia has never failed to disappoint me, and this eye cream is really amazing to use, but I don’t feel like spending that much on an eye cream at the moment. Probably because my under eyes just need hydration, and I can get that somewhere else as well. If you need something that works great under makeup while still containing a lot of active ingredients, this is worth checking out. 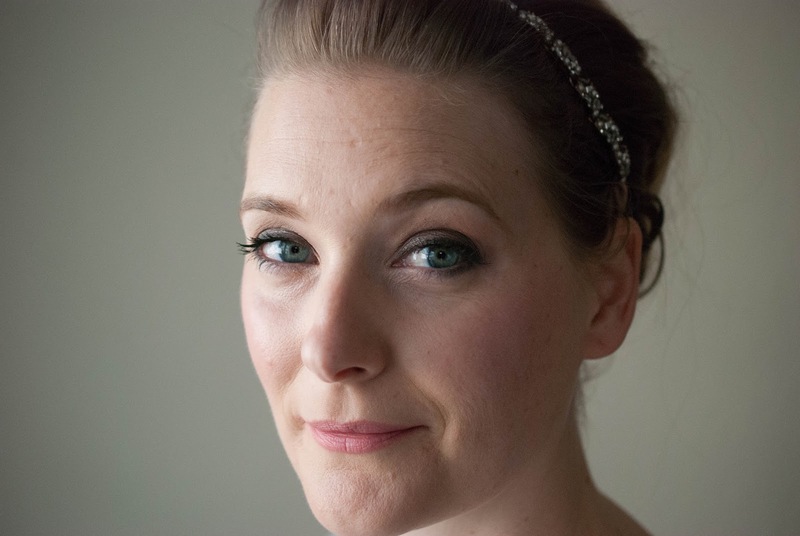 If puffy eyes in the mornings are your main concern, this might be the one for you. If you just need hydration or are on a budget, look elsewhere. But back to topic: Does it snow where you live?